Think of every lap you swim as having a short life of it’s own. It has a beginning, middle and an end. In the beginning get your stroke together by concentrating on efficiency. Then while you are keeping up with being efficient, start building – like beating drums to a roll. By increasing your kick and stroke turnover, you increase your speed down the length of the pool. You should build every length, every series, every workout. Every stroke also has the same beginning, middle and an end. 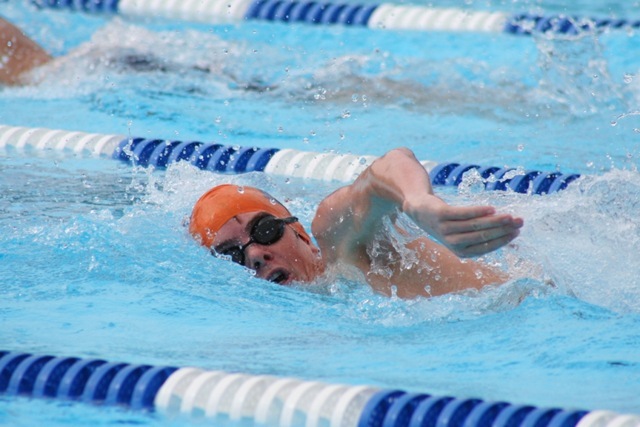 The hand speed of your stroke should speed up underwater to an explosive push at the end of your pull. Try to increase the length of your stroke as well as the depth and speed of your stroke to be efficient. Take the challenge – Lengthen your stroke and build your swims…don’t just spin away and wind up going nowhere! The one arm freestyle drill is excellent for working on your length of stroke and shoulder roll.